What is perennially Maricopa’s most fancy-schmancy party is toning down a little this year, but that won’t change its purpose. 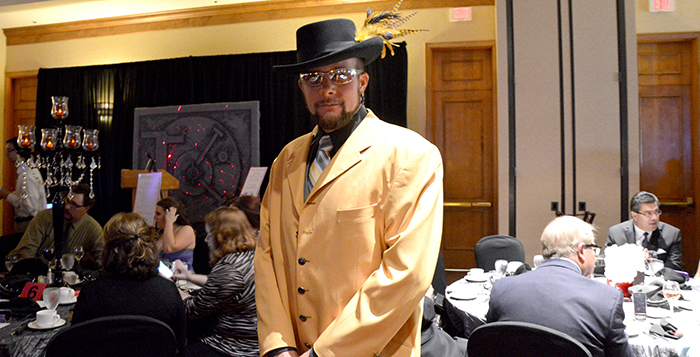 The 12th annual Against Abuse Seeds of Change Gala is set for Feb. 25 at 6 p.m. The theme this year is “Boots and Bling,” and the location will be the Province Town Hall, 20942 Province Parkway. At what has usually been a formal dinner-and-dancing dress-up event, dancing means line dancing and dinner means barbecue. There will also be whiskey tasting and cigars in the Saloon for VIP-ticket holders. Organizer Torri Anderson described this year’s event as “cowboy casual.” Attendees can feel free to dress up as much as they please but are also welcome to sport cowboy hats and boots. The gala is presented by Meritage Homes. The event benefits Against Abuse Inc.’s domestic violence shelter in Maricopa. A standard “cowboy” ticket is $50. A VIP ticket with reserved seating is $75. “All of the money goes to the shelter,” Anderson said. The shelter provides temporarily housing to women and children escaping abusive situations. It was completed last year. The Seeds of Change gala was initiated more than a decade ago to build the shelter. But that was just the beginning. “The real work begins after it’s built,” Anderson said. Funding goes to operation, maintenance and supplies. This year’s gala will not have a live auction, but the silent auction will continue. Anderson said it will be paper only and not involve cell phones. Among the auction items will be jewelry from Kendra Scott, a big supporter of domestic violence awareness. It opened a Chandler store in December. A Jewelry Cocktail Party is set for Feb. 11, 4-6 p.m., and also benefits the shelter. Against Abuse Inc. is a private nonprofit established in Pinal County in 1981. Boots and Bling gets started with music by About Last Night. Line dancing (with lessons) will be at 6 p.m.